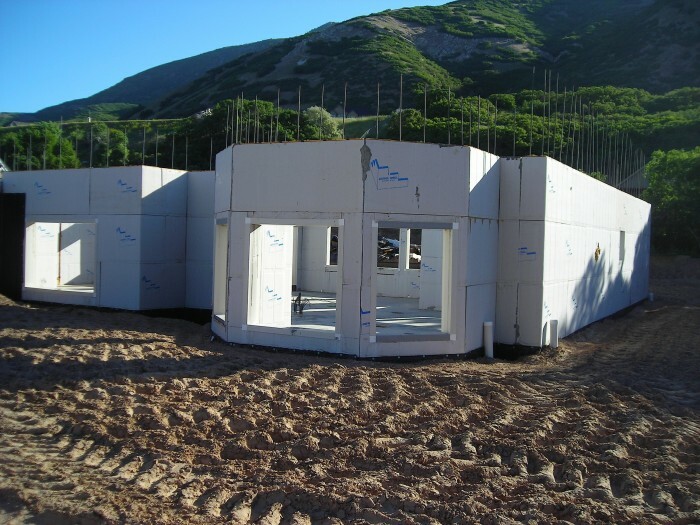 Large Stay-in Place Reinforced "Composite Panel Insulated Concrete Form" (CPICF). Standard Forms are 32" x 96", But Can Be Manufactured Any Length And 32", 48" Or Wider With A Continuous Laminator Line. 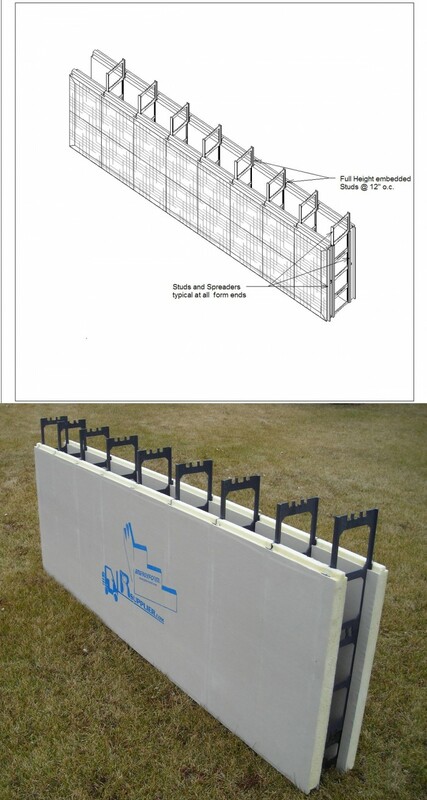 A reinforced composite system for constructing insulated concrete structures comprising, panels having a foam plastic core (polyurethane) between outside and inside reinforcement layers (fiberglass facing material), reinforcement layers substantially strengthen the panels during material handling and construction greatly reducing deflection of the panels between studs (ABS plastic) when placing concrete allowing walls to be filled in one lift. (Also adding UV protection and an excellent substrate for coatings such as stucco and other coatings). Panels are placed horizontally in an opposing and parallel spaced-apart relation. Opposing panels are placed end to end in rows and stacked vertically, rows of panels being staggered from each other so panel ends in adjacent rows do not line up vertically. 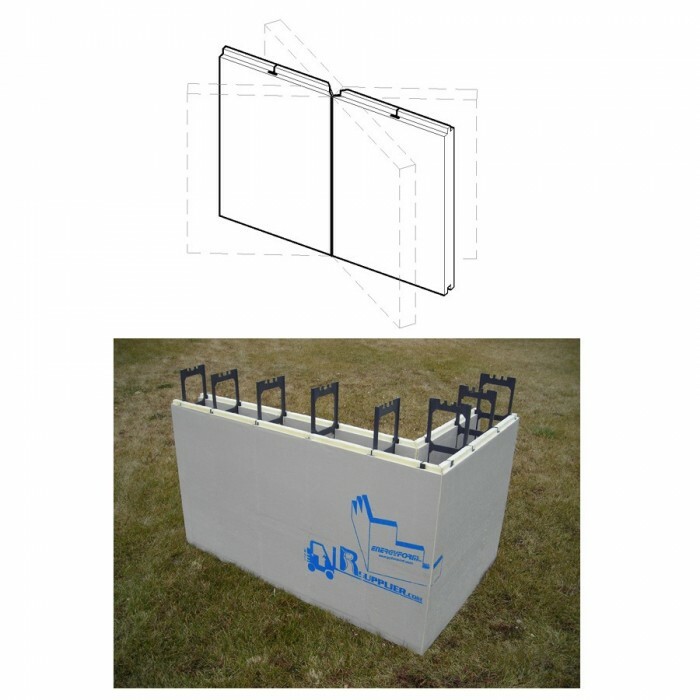 Vertical studs are embedded in panels extending the full height of the panels each stud having a flange for receiving mechanical fasteners and groove for receiving spreaders. A plurality of spreaders at each stud location extend between opposing panels and slidably engaging the studs in opposing panels. (Spreaders of multiple widths allow for concrete core thickness to be 4", 6", 8", 10", 12" or any thickness in between). Spreaders are stacked vertically in such a manner as to engage studs half their height above and below the horizontal joints between rows of panels (causing the full height wall to act as one) Each spreader has opposing flanges connected by horizontal members, horizontal members having multiple formations, when spreaders are stacked the formations compliment each other allowing wall reinforcement bars to be restrained in any preferred location. Hollow horizontal stiffeners may be utilized to accommodate electrical wiring. Locations of vertical studs are shown by markings on the exterior of panels. Hinged corner forms and bearing ledge forms can be shipped flat and rotated into position on site. We are looking for an outright sale of our patent. 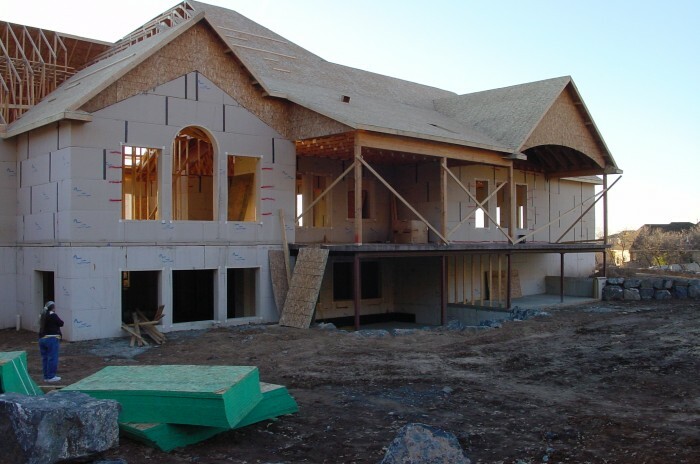 We believe the market capability of this product is unlimited due to the ability to use it in commercial, industrial and residential building construction projects on the exterior envelope from the footings to the roof and all floors in between, also including any interior walls as desired. We have done a substantial amount of R&D on this product and produced over 2000 forms, tweaking many aspects of the system along the way. It can be manufactured readily in many key locations in the US and other parts o the world cutting down on shipping. 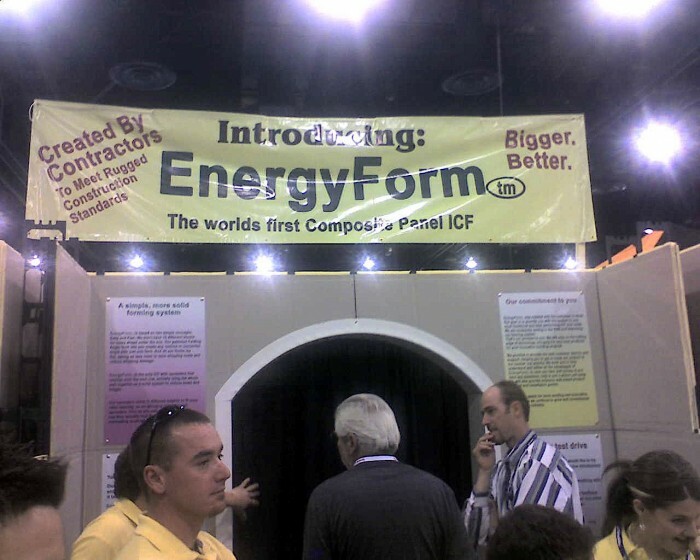 We have copyright and trademarks on the use of the name of the product called "EnergyForm" and designs made around it. 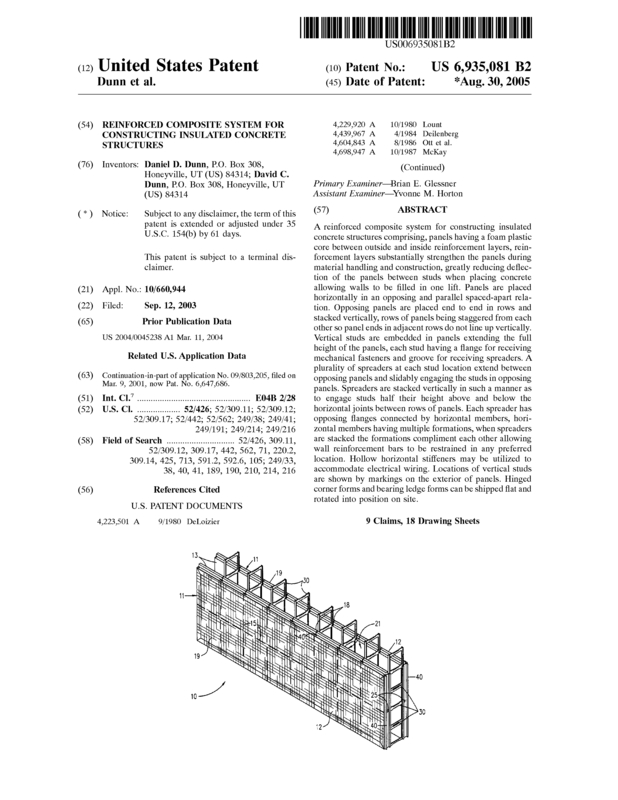 Page created at 2019-04-25 0:16:41, Patent Auction Time.